Test Tube Peg Rack is made of Polypropylene and can conveniently hold inverted tubes for drying purpose and minimize collection of airborne contaminants inside the tube. This rack can also be used and dry electrophoresis and chromatography plates. 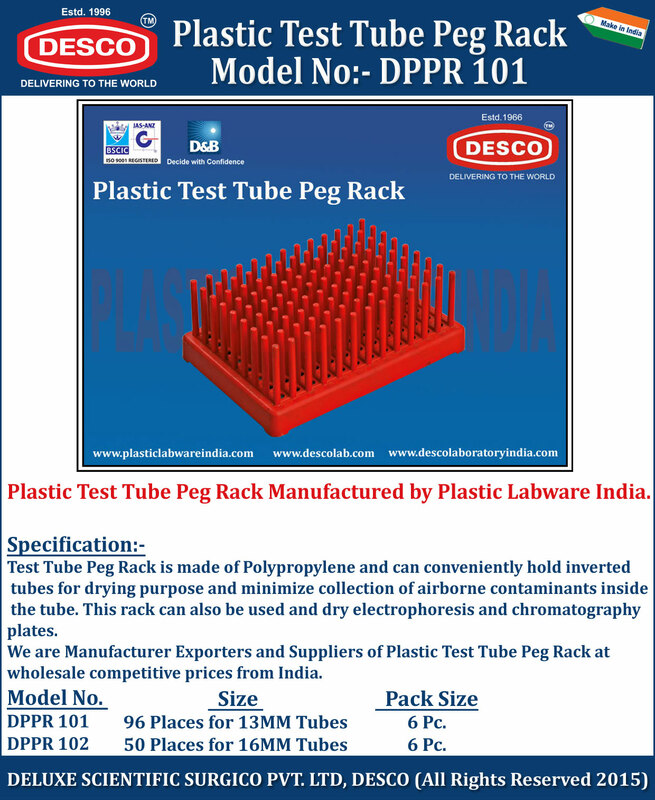 We are Manufacturer Exporters and Suppliers of Plastic Test Tube Peg Rack at wholesale competitive prices from India. DPPR 101 96 Places for 13MM Tubes 6 Pc. DPPR 102 50 Places for 16MM Tubes 6 Pc.